VIDEO CLASS #1: Less Junk, More Joy! In this live video, which is taken from my QUIT FIGHTING WITH FOOD Online Course, you'll hear my strategies and advice for decluttering your stuck emotions. Even though I talk about how food is related to your emotions, you can substitute the word "clutter", as clutter and stuck emotions are definitely related. Also, because it's a live video, you may hear my Teddy a couple of times, and a short pause. Enjoy!! 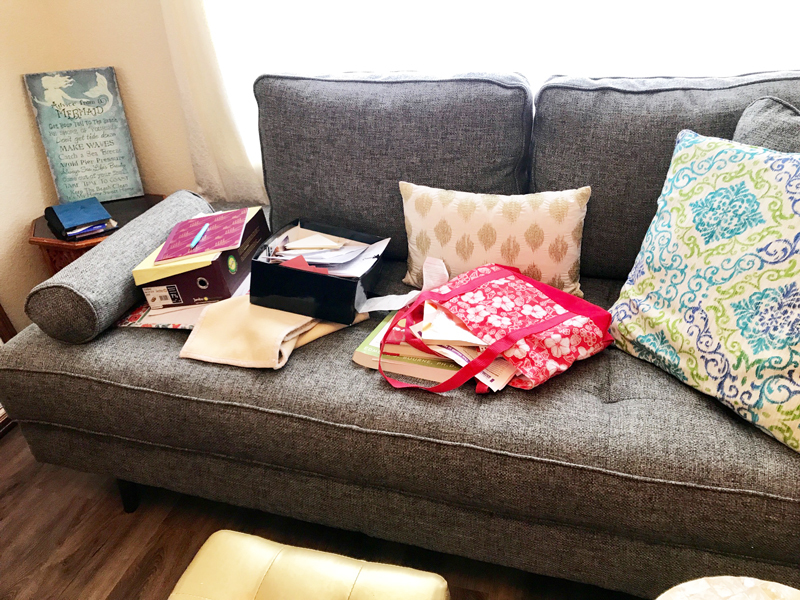 Watch my "before" video of my home office, for inspiration for your homework assignment, which is below the video. 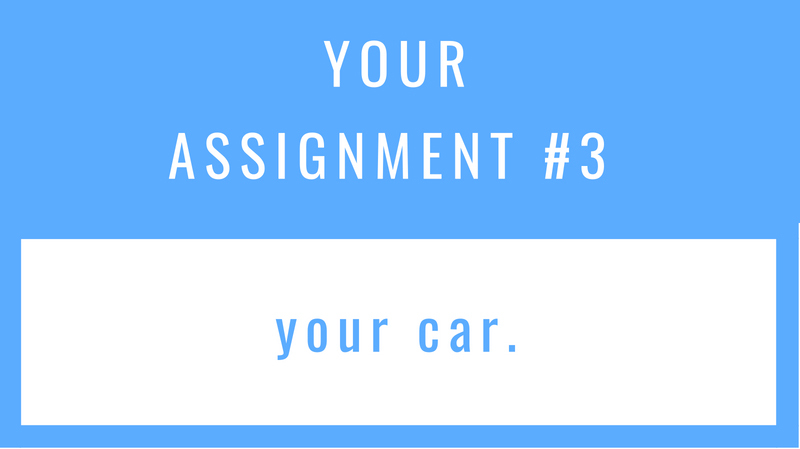 REMINDER: Read all the details carefully for your assignment #2, above. WATCH my Home Office video above for inspiration! Photo 1: For my first 15-minute session, I'm ONLY doing this defined area -- a little set of drawers right inside the door, which tends to be my catch-all for stuff. Take a look at that cute blue flowered box. I'm going to tell you about that in a minute. Note: The bag on the floor is a separate project! (Those are my foam soundproof squares I use while filming my videos and audios, to make it sound less echo-y). Also, the pictures on the floor (to be framed later) will be a separate 15-minute session. I chose to focus just on this little set of drawers, to get it cleaned off. Look at the blue box, that always sidetracked me before. Photo 2: Have a trash bag to collect all the trash, empty envelopes, old receipts, etc. This is KEY!!!! Don't get sidetracked putting things away as you're decluttering. Empty this later during its own 15-minute session. DANGER ALERT: Let me tell you about where I would get tripped up and sidetracked in the past, getting frustrated and feeling overwhelmed. See this cute little box, with all sorts of inspirational notes, and cards and slips of paper that I was keeping? Normally, I would start reading all those notes and cards -- and get sidetracked from my task at hand -- which was to clear off the set of drawers. I repeat: going through the box of notes is its OWN 15-minute session. What I did instead is to simply put the stray notes and cards in the box, and close the lid!!! That box will get its OWN 15-minute session (as I sit with a cup of tea and savor the chance to go through it without rushing). Photo 4: Cute box of notes and inspirational stuff, to be gone through later. Don't get sidetracked!! This is not the time to read through all these inspirational notes. Leave those for a separate 15-minute session. Photo 5: I simply collected all the stray notes and put them in the box -- and put the lid on it!! That box will get its own 15-minute session later. Then, I put that box in the armoire, to be gone through later. all those inspirational notes and cards are tucked away, to be gone through in a separate 15-minute session. Photo 4: Look at this nice and tidy set of drawers now! I accomplished all this in only 6 minutes!!! Normally I would leave putting away the out-of-place items in the bin for its own 15-minute session, but since I had extra time, I was able to put everything where it belonged. The cards went into our game drawer, the towelettes are for my car, and the business cards went back onto my supply shelf (which is also in the garage). I feel soooo much better just looking at this clear, clutter-free space! 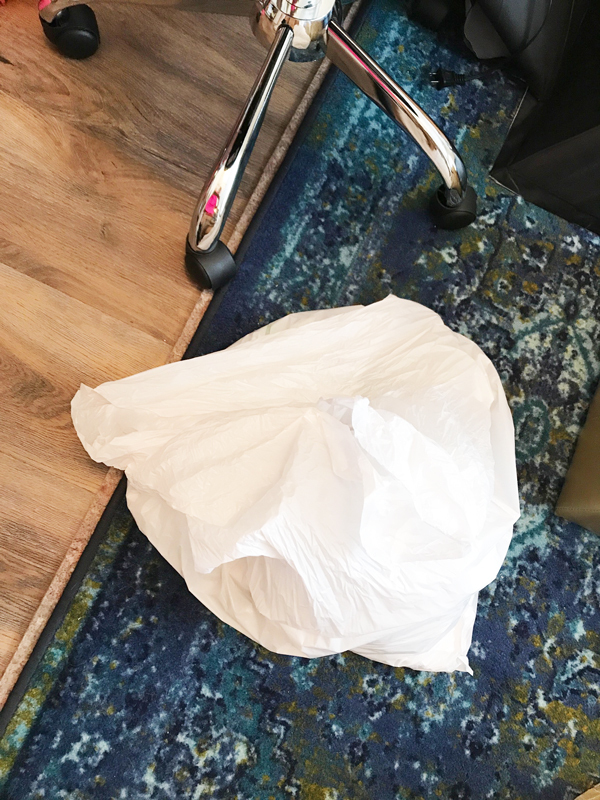 Photo 7: Because I still had 9 minutes left in this decluttering session, I kept the timer running, and moved on to the floor. Remember, each zone is its own defined area. So, I treated this corner as its own separate task. Those red foam pieces are for soundproofing the room when I record my videos. The lights for filming are to the right of that big shopping bag. Normally those items are stored in the garage closet. Photo 8: Guess what?! This area only took me 4 minutes! I took this bag of soundproof foam and my lighting equipment right down to the garage closet, where they belong. Feels soooo good to be able to move around this room now! Now I can see the floor! Those bins under the credenza will get their own 15-minute session later. Photo 9: Yep! I still had 5 minutes left on my timer. So.... I moved on to this next zone: my credenza. Another "catch-all" spot. My goal was to get the surface cleared off, and then I would go through each box and bin separately as its own 15-minute session. Note: The boxes under the credenza will get their OWN 15-minute session later. This is another catch-all surface! My goal was to clear it off. The boxes under the credenza will get their own 15-minute session later. Photo 10: Uh-oh...a box of old photos!! Normally, I would sit down and start going through all the photos on the spot, thinking I was being efficient. Little did I know this was sidetracking me, keeping me from finishing my goal of clearing off the top of the credenza! It is sooo tempting to go down memory lane and sort through these photos...but that is for a different 15-minute session! PHOTO 11: Quick! 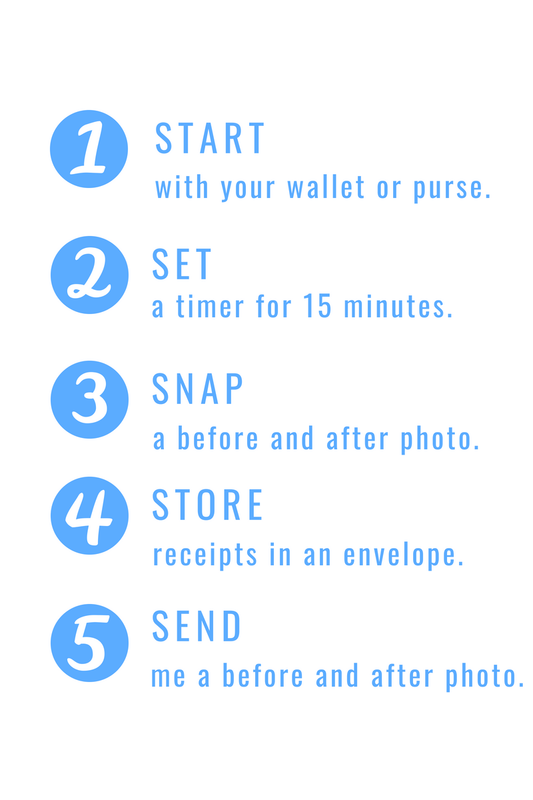 Put the photos in a box, put a lid on it and then schedule a separate 15-minute session for the photo box. Photo 12: Ahh...feels fantastic to walk into my home office and see this! This only took me a few minutes! The boxes under the credenza will get their own 15-minute sessions later. Here is what I'll be working on next to complete this project -- in 15-minute sessions, of course! Photo 13: Here is one more surface area of my home office to be cleared. I'll set aside another 15-minute session to do so this week. I'm actually excited to get to it, as I'll feel so much better when I can sit on the sofa again. I like to sit there in the mornings with my Hot Lemony and journal and meditate. Can't wait! This is the last part of my home office decluttering for now. Later I'll get to the armoire shelves, in separate 15-minute sessions. PHOTO 14: Each area of this armoire will get its own 15-minute session. I'll start with ONE shelf, or ONE box or bin. This will be another project, with each shelf, box or bag getting its own 15-minute session. 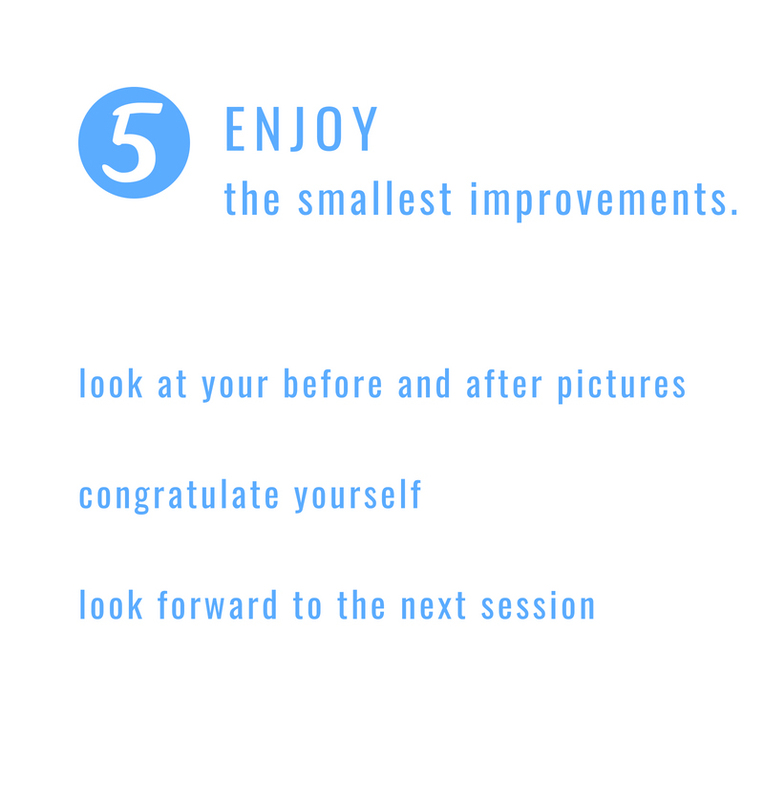 SUMMARY: I cleared out all three defined areas in just ONE 15-minute session! I can't believe it, because I have been walking in and out of that home office for the last few weeks, sighing -- thinking "I'll do it later", because I thought it would take me hours! Can't wait to hear about your results as well!! 1. 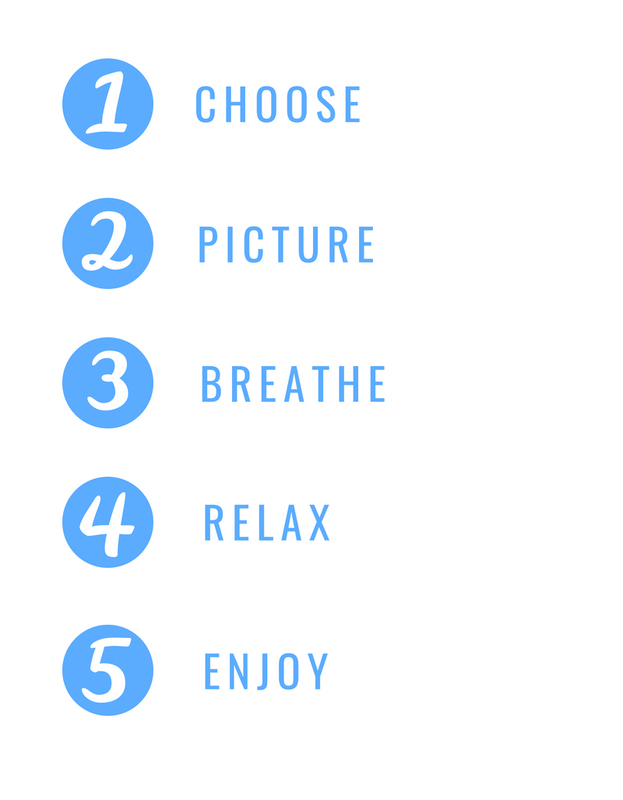 Follow the CHOOSE ONE PROJECT checklist tips. 2. As you'll see in my photos below, I focused on the console, or as hubby and I call it, "the Pit of Despair". There are actually two pits that I cleared out. 3. Remember to have something to collect all of the "misplaced" items. I used a plastic baggie. 4. The out-of-place items can be put away as their own 15-minute session. 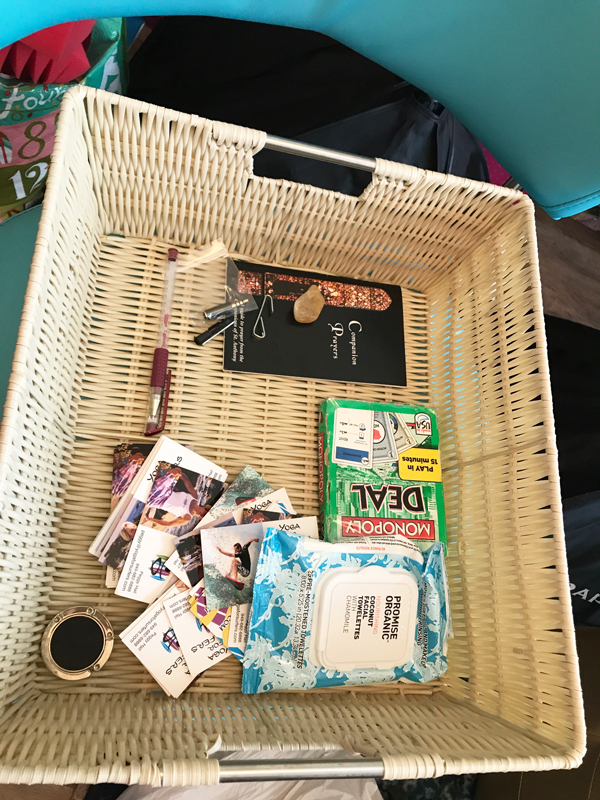 PHOTO 1: This first Pit of Despair is supposed to be a cup-holder, but has become a catch-all for receipts, business cards and makeup! This is actually a cupholder area that got cluttered with receipts, business cards and makeup. PHOTO 3: Here is the second Pit of Despair. 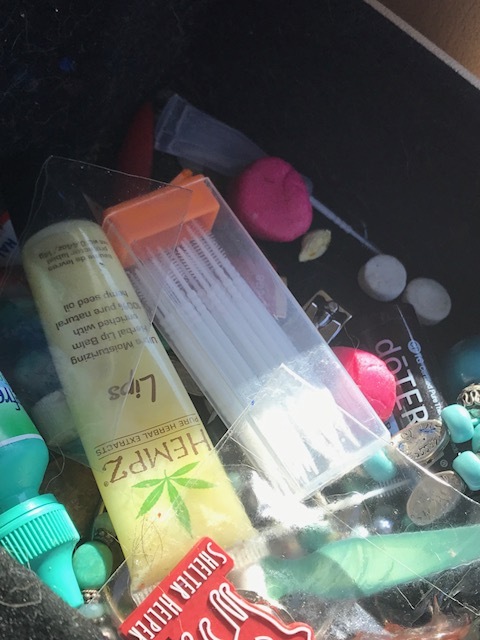 A catch-all for stale mints, empty eye-drop vials, nail clippers, make-up, lip balm, breath mints and ear plugs (those pink things). Also a couple of unused keychains, a nail file, tweezers and a necklace! My goodness, what in the world was all that doing in there?! PHOTO 4: I am keeping my favorite toothpicks, breath mint drops, lipstick (can't live without it) -- and that darn keyring got stuck in the corner! I was able to dislodge it later. Also my white phone adapter for my iPhone so I can play music while teaching my water fitness classes. PHOTO 6: These out-of-place items were put away in their own 15-minute session (but I got it done in 4 minutes). PHOTO 7: I put all the receipts/coupons in a clear baggie and keep those in the glove compartment. 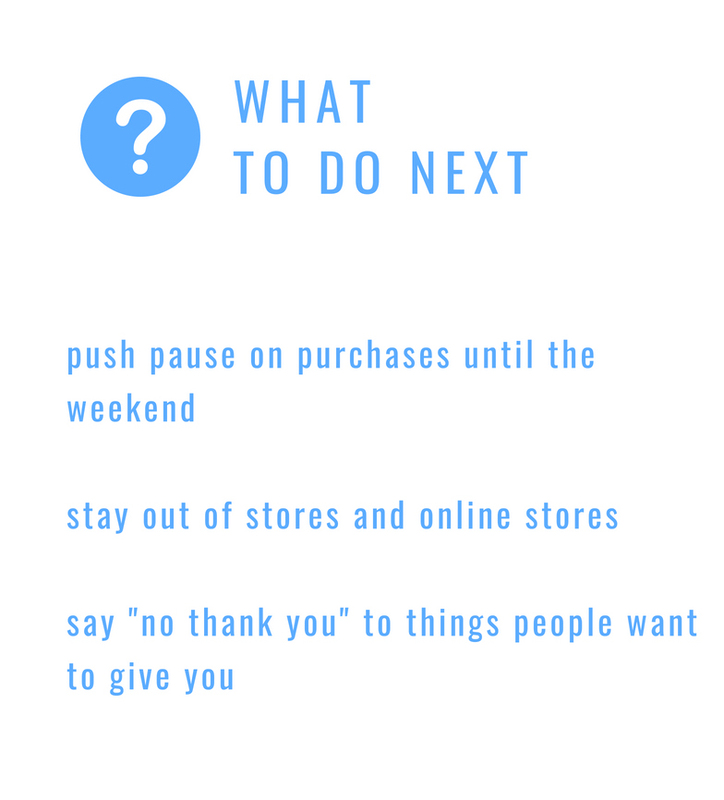 That makes it more convenient for me since I am always taking the car when I go shopping. Choose your trunk / glove compartment / back seat, etc. And text me when you do, so I can cheer you on! "You have enough -- and you are enough!"